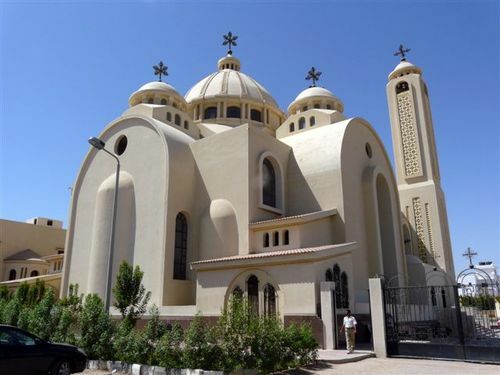 Copts will be able to build their churches in Egypt freely and will not have to wait a long time for the president’s permit. The rule was passed last week in Cairo by the Committee of 50, the assembly which edits alterations of the constitution adopted by Islamists in 2012, reports Pravoslavie.by. The matter of churches has been one of the key issues of the freedom of religion in Egypt for a long period of time. Until now it was impossible to open a new Christian church without a necessary special permit from the president. Ex-president Hosni Mubarak himself took some measures as pressure on the Coptic community, which makes up around 10% of the country’s population. The case with Sts. Peter and Paul Church in Nubaria in the north of Egypt is very indicative—the Christians waited for 17 years to obtain a permit. Ex-president Mohamed Morsi, leader of the “Muslim Brotherhood” movement, was deposed by the military on June 7, 2013. The Copts did not support the demonstrations that took place over last several weeks, which would have led to military intervention in their communities. The amendments that were approved last week have been read as preliminary ones; they will be added to the articles of the constitution. The system of harmonization and construction of churches is cancelled, and their construction is given the same status as building of mosques, which only have to obtain a general permit to beginning construction. Nevertheless, it should be added that, according to the plans of the military, who are currently the provisional authorities in Egypt, the constitution amendments, which by the decision of the Committee of 50 have come into effect, must be approved at the referendum, scheduled for December this year. The Committee is also currently discussing other important issues, such as the formulation of article 47 which talks about freedom of religion: the proposed text has opened an opportunity to confess any faith, overcoming traditional Muslim tolerance towards the religion of one book (Jews and Christians). Meanwhile, the Church issue is interwoven with the fate of the Christian buildings which were burned down during the wave of violence committed by Muslim fundamentalists—about 80 Churches were burned down in all. Last week the Coptic Church stated that the damage it had suffered is the equivalent of around 20 million dollars. This is at least encouraging news from Egypt after all the disgusting things that have taken place since the Tahrir uprising. Let us hope that these promises will actually materialise and not remain mere words.